Caris Healthcare hospice providers are among the nation’s top performers in the new Hospice Compare quality measures published for the first time on August 16 by The Centers for Medicare & Medicaid Services (CMS). Everyone at Caris Healthcare, and our 28 hospice programs, is proud of these scores, particularly the hundreds of nurses, certified nursing aides, social workers, chaplains and volunteers who each day provide world class care for our 1,000+ patients and families across Tennessee, South Carolina, southwestern Virginia, northern Georgia and Missouri. CMS created Hospice Compare to help consumers compare local hospice providers on their performance and to assist patients and families in making informed decisions for end-of-life care. The scores are based on specific quality measures that must be submitted by every one of the nearly 4,000 Medicare-certified hospices. 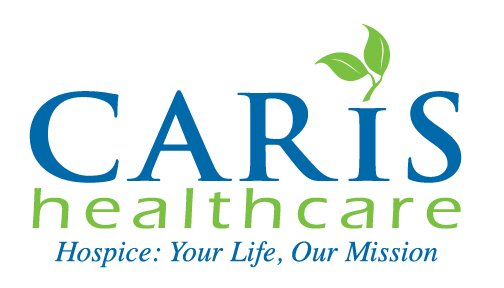 Caris Healthcare invites you to visit Hospice Compare to review our scores. And if you’d like to learn more about Hospice Compare, we invite you to read the Fact Sheet CMS has issued. But as important—and gratifying—as these scores are, they don’t begin to tell the whole story about Caris Healthcare and our commitment to providing world class healthcare to every patient and family we’re privileged to serve. Caris is about finding out what the Three Most Important Things are for every patient we serve, and then working to incorporate these things daily in their care plan. Caris is about honoring those of our patients who’ve worn our nation’s uniform, and then thanking them for their service, their sacrifice. Caris is about hundreds of volunteers in every community who spend time with hospice patients at the bedside, who have the heart to be present, who bring their pets to offer unconditional love, who share their gift for music or crafting to make every day special for our patients and their loved ones. The Hospice Compare quality measures are important. Where we fall just short of perfect, we’ll use them to become even better tomorrow.